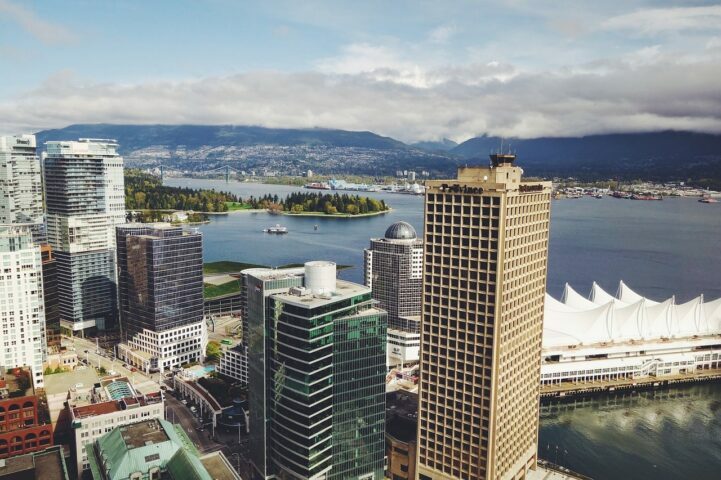 Earlier this week BC Finance minister Mike de Jong announced a 15% tax on foreign buyers that will go into effect next Tuesday. While the step is being widely applauded (mostly by his party), it really doesn’t solve a damn thing for the people in the Greater Vancouver Area (GVA). The primary issue with BC’s housing crisis is affordability, and while BC boasts some impressive growth numbers for their economy, most people never break them down. Lucky for you, we love to crunch the numbers, so we took a look in the provincial accounts. Turns out, this real estate hole is a lot deeper than most people are willing to admit. BC’s gross domestic product (GDP) is generally divided into two areas, Goods producing industries and service producing industries. The former includes things like construction, and manufacturing, and grew around 0.5% – better than the 0% growth of the national average, but still not great. The latter is where BC had the majority of their growth, 3.7%. This is the set that includes real estate, banking, retail jobs, etc..
A closer breakdown of BC’s service producing industries reveal that 29.6% of all growth was real estate, and another 10.25% was in banking and insurance growth – two industries directly related to real estate. It definitely doesn’t help that another 20% of BC’s growth was low paying retail jobs. Let’s say theoretically all of the foreign buyers leave, and there’s a correction. Historically low mortgage rates have driven locals to buy at the absolute maximum they can borrow (note, I said borrow – not afford). We already know that BC’s wages haven’t grown by much over the past 15 years, but the average mortgage has skyrocketed due in large part to the ability to borrow more. The government hasn’t quite put together that up to 160,100 locals could default on the surge mortgage rates. The latest report from BC Ministry of Finance shows that 6.6% transactions involved foreign nationals. This means only 6.6% of foreign buyers would be impacted by this 15% tax, that they apparently wrote over the last weekend. It’s modeled loosely after the speculator tax in Hong Kong, but it’s nowhere near as comprehensive. Hong Kong’s tax doesn’t address foreign people – it addresses any speculator that might say, have 8 homes, while they, you know, sit in their office drawing up foreign speculator taxes. While this tax is being sold to people as something that’s very hardline, it doesn’t try very hard to do anything. For instance, foreign controlled companies will be taxed, but what happens if a foreign controlled company registers a domestic holding company for $200 – is that considered a domestic company? Or let’s say you have a 1% stake in a $31.1M Point Grey mansion that a student owns, that isn’t taxed either, right? Sidenote: Be nice! She’s a hard working former UBC cafeteria employee that doesn’t know what her father does, it’s cruel to pick on her. While doing something is better than nothing, we should be careful with what initiatives we’re being fed, and how they actually impact us. A large part of Canada’s economy is dependent on foreign investments coming in, but we unfortunately haven’t decided to have a constructive plan on how to utilize that capital. Ironically, China has just released its 13th Five Year Plan, which emphasises quality over quantity of investment. I never thought I’d be saying this, but Canada might need to take a page out of China’s playbook. Love or hate this article? Give us a tweet at @betterdwelling, or share it with your friends. Like us on Facebook to stay in the loop.